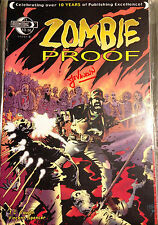 ZOMBIE PROOF 1B - 2B ...NM-...2007...JC Vaughan ...Bargain! 2007 THOR#1~ZOMBIE VARIANT COVER !!! This page was last updated: 23-Apr 23:44. Number of bids and bid amounts may be slightly out of date. See each listing for international shipping options and costs.